Signs that we are heading towards that change of season. 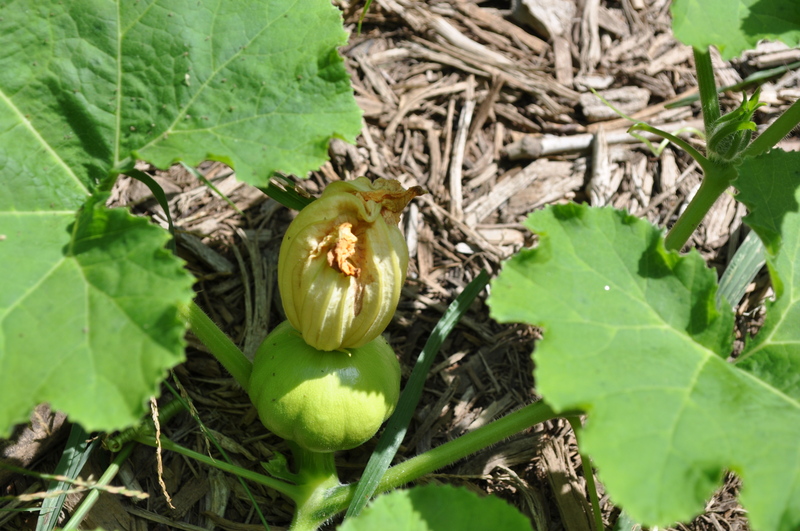 My first Thelma Sanders squash, hidden under the leaves in a corner of the garden. 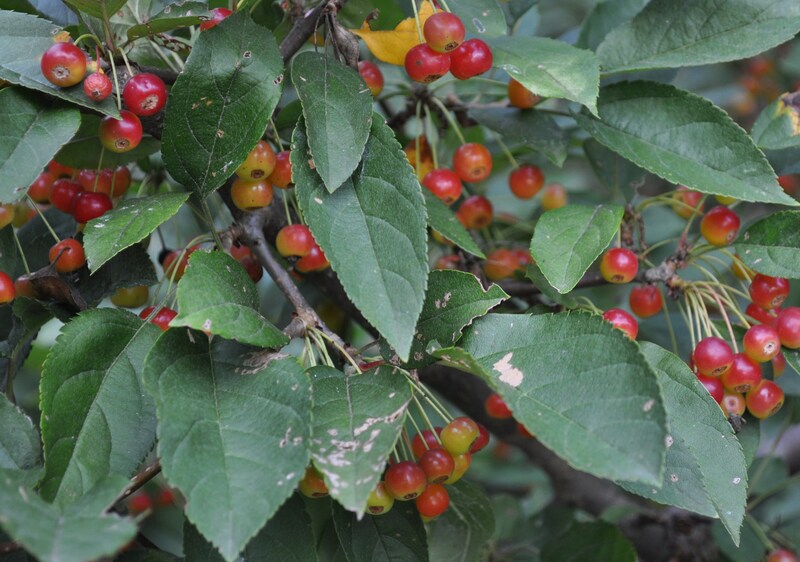 Berries on the crab apples. A bumper crop of berries. Here’s hoping we get the cedar waxwings who love to feast on the berries. 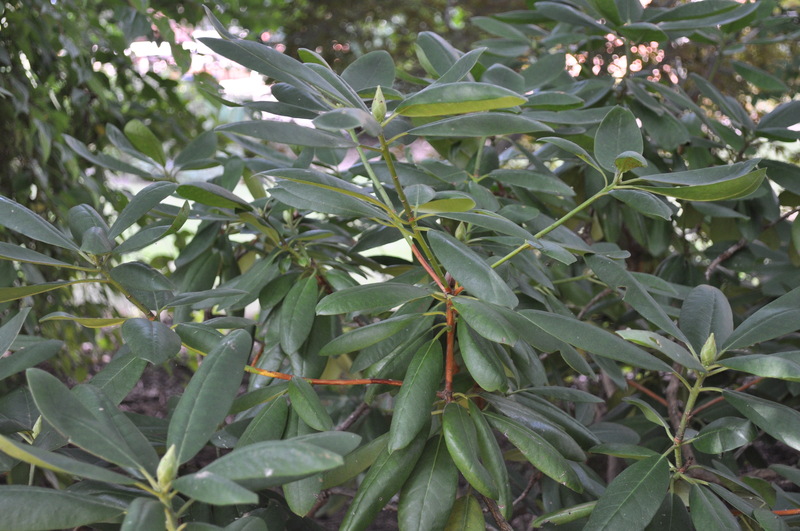 Rhododendron buds are really plentiful this year as well. Last year there was lots of growth but not that many blooms. This year, all the rain was good to them and they put out huge amounts of buds, which means lots of flowers next May. Morning glories completely out of control. I didn’t prune them back this year. A friend who grows grapes told us in rainy seasons to let the flowers and weeds get close to your garden. In the case of a very wet summer, their competition for the moisture will be beneficial to keeping your veggies and fruit from diseases caused by too much water. 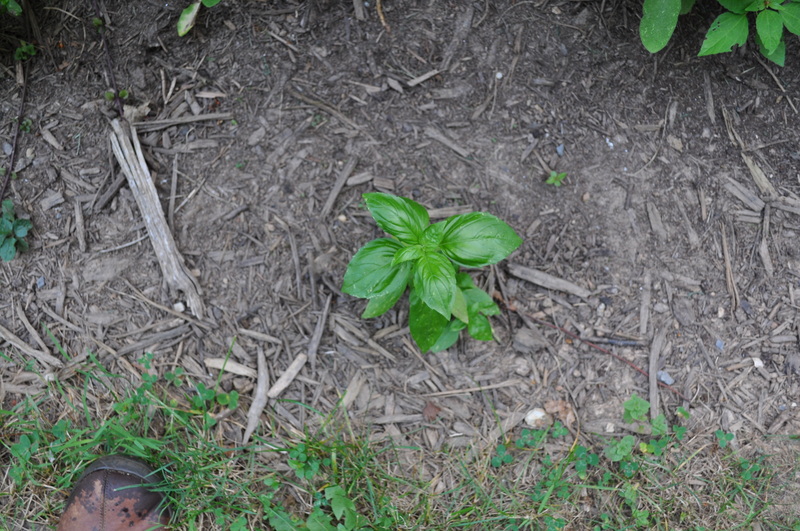 A basil plant that decided to rise from the ruins of the bunny devastation of last spring. I have no idea how it came back from its puny little nub left after the rabbits got to it. 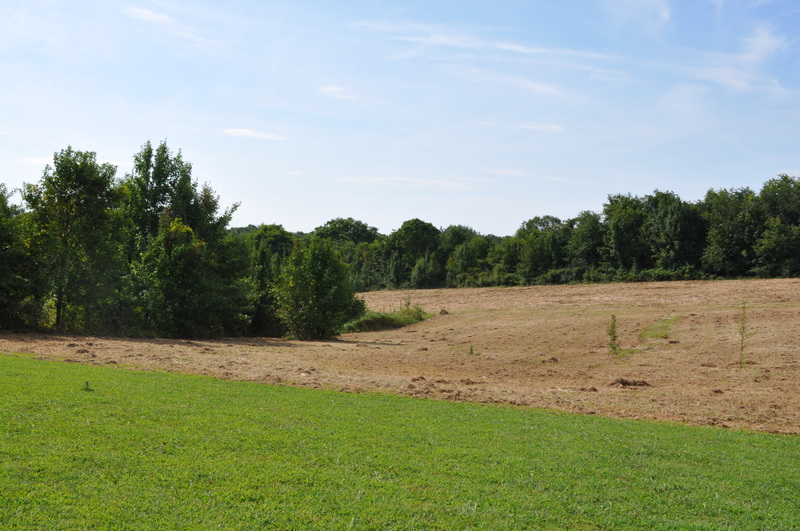 Newly mowed meadow. Ready to be baled. Driving my sinuses nuts, but it really looks forlorn, where once there was all this tall lovely grass. Lots of green tomatoes still out there, hiding and in plain sight. I figure we have about four or five more weeks before the weather changes for good, and I have to bring them in if they don’t ripen. Right now I am still getting lots of slicing tomatoes, but all the paste tomatoes are about finished for the year. Weather is lovely, isn’t it? Temps in the low eighties and high seventies. Cool nights. 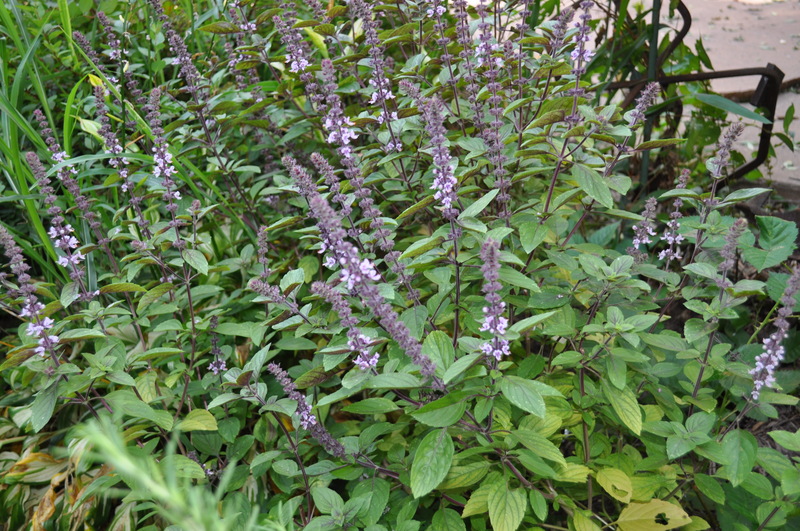 The blue basil is going to seed. Time to do the last big harvest and make another boatload of pesto. Enjoy this weather while we can! 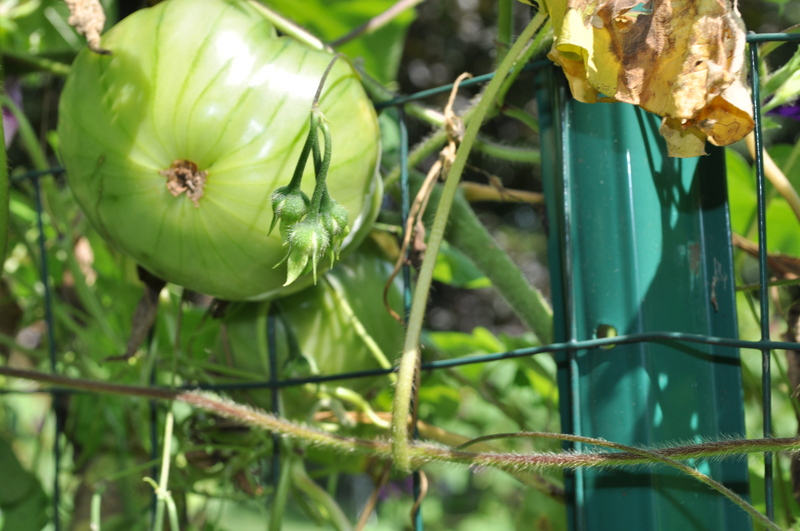 Posted in Food, Gardening, Hobbies, Howard County, Nature, Weather, West HoCo and tagged Food, gardening, heirloom tomatoes, hobbies, Howard County, tomatoes, weather, West HoCo. Bookmark the permalink. This week’s share from the One Straw Farm CSA contained: onions, red potatoes, hot peppers, basil, a cantaloupe, a watermelon, Roma tomatoes, and yellow “cherry” tomatoes. 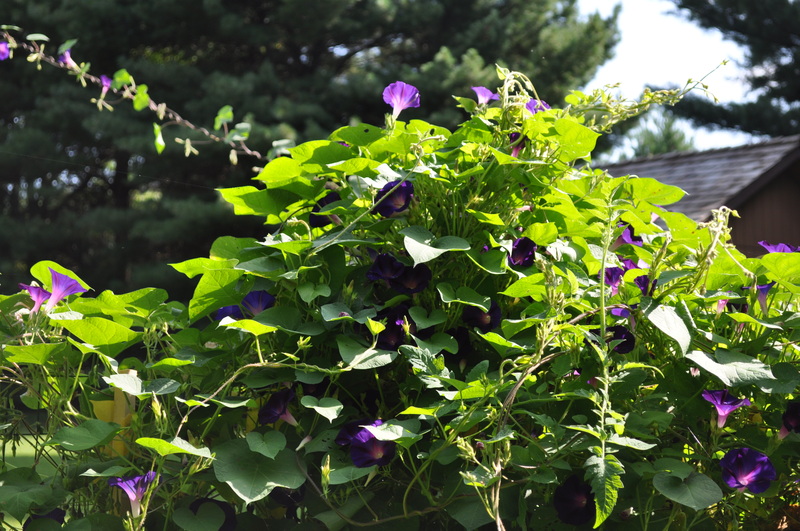 I loved walking through your garden to see what is happening (via your photos) Beautiful things blooming and producing. That is one motivated little basil plant! Loving this weather and the garden. Except I only have one squash. Lots of blossoms, but only one squash. The tomatoes keep hanging in there.